This year, the optional standard mileage rate used to calculate the deductible costs of operating an automobile for business increased by 3.5 cents, to the highest level since 2008. 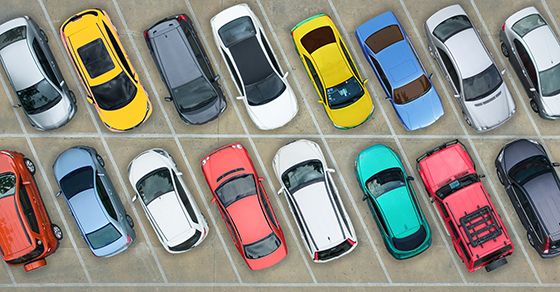 As a result, you might be able to claim a larger deduction for vehicle-related expense for 2019 than you can for 2018. Businesses can generally deduct the actual expenses attributable to business use of vehicles. This includes gas, oil, tires, insurance, repairs, licenses and vehicle registration fees. In addition, you can claim a depreciation allowance for the vehicle. However, in many cases depreciation write-offs on vehicles are subject to certain limits that don’t apply to other types of business assets. The mileage rate comes into play when taxpayers don’t want to keep track of actual vehicle-related expenses. With this approach, you don’t have to account for all your actual expenses, although you still must record certain information, such as the mileage for each business trip, the date and the destination. The mileage rate approach also is popular with businesses that reimburse employees for business use of their personal automobiles. Such reimbursements can help attract and retain employees who’re expected to drive their personal vehicle extensively for business purposes. Why? Under the Tax Cuts and Jobs Act, employees can no longer deduct unreimbursed employee business expenses, such as business mileage, on their individual income tax returns. But be aware that you must comply with various rules. If you don’t, you risk having the reimbursements considered taxable wages to the employees. Beginning on January 1, 2019, the standard mileage rate for the business use of a car (van, pickup or panel truck) is 58 cents per mile. For 2018, the rate was 54.5 cents per mile. The business cents-per-mile rate is adjusted annually. It is based on an annual study commissioned by the IRS about the fixed and variable costs of operating a vehicle, such as gas, maintenance, repair and depreciation. Occasionally, if there is a substantial change in average gas prices, the IRS will change the mileage rate midyear. There are certain situations where you can’t use the cents-per-mile rate. It depends in part on how you’ve claimed deductions for the same vehicle in the past or, if the vehicle is new to your business this year, whether you want to take advantage of certain first-year depreciation breaks on it. As you can see, there are many variables to consider in determining whether to use the mileage rate to deduct vehicle expenses. Contact us if you have questions about tracking and claiming such expenses in 2019 — or claiming them on your 2018 income tax return.